Supporting women through the arts is key to encouraging self-confidence, exposure and creativity that enables individual empowerment to become a collective. 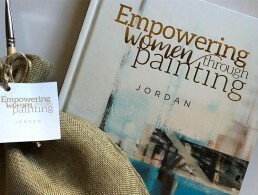 On March 20th, Seven Circles hosted its Empowering Women Through Painting – Jordan book launch at the Jordan National Gallery of Fine Arts. 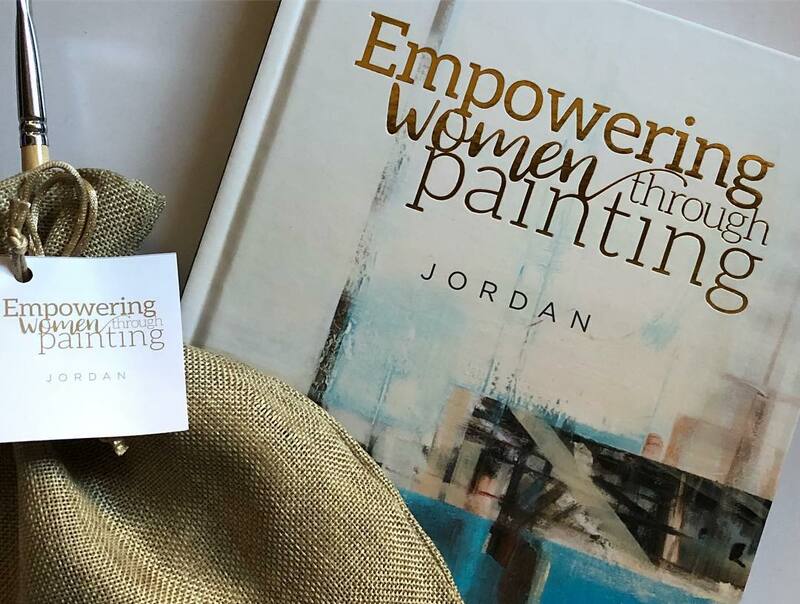 The book features the stories and paintings of 88 women artists from diverse backgrounds living in Jordan. It also includes a preface about contemporary art, a section about art and therapy, and a section on how artists can scale and sell their arts as a business written by artmejo founder, Hind Joucka. According to Dina Saoudi, the co-founder of Seven Circles, “What you have here is an art book that can be recognised globally”. 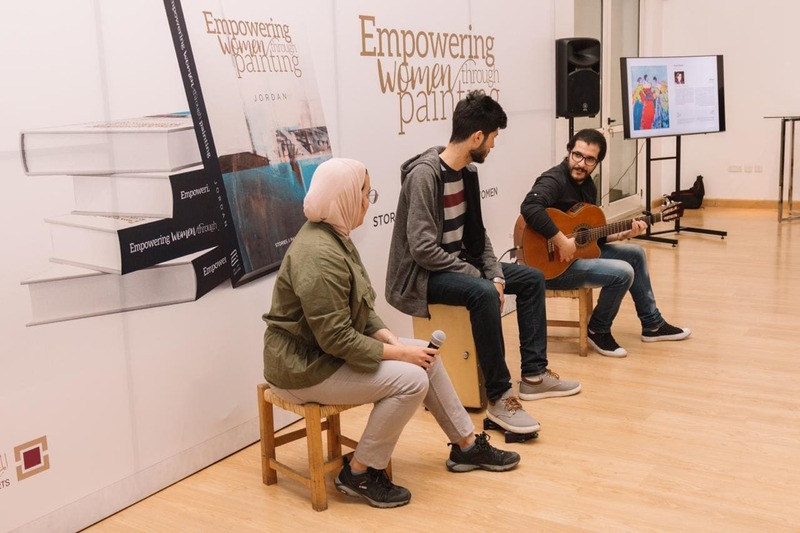 Among the speakers at the event was the Director General of the Jordan River Foundation, Enaam Barishi, who has been keen on designing and executing programs that empower women. We tend to forget the real success stories in these projects that are related to the transformations that we create. We need to capture success stories and be inspired by them. 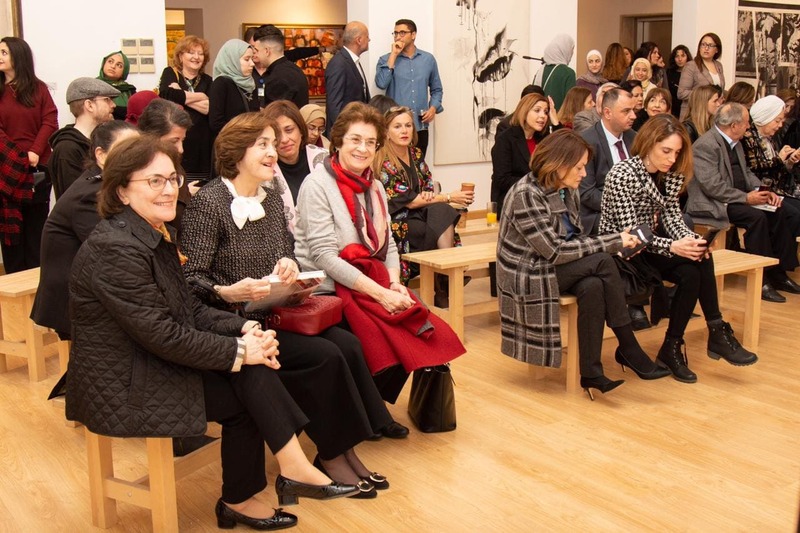 Laila Baker, Representative of the UNFPA in Jordan saw the event as a recognition that gender equality is central to Jordan, and the need to empower women to achieve equality in Jordan. 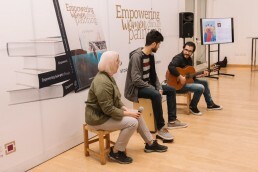 The talks were followed by a live music ceremony by young local musicians who entertained the guests while they spoke to the present artists and brought their copies, with proceeds going to the Jordan River Designs and UNFPA- Jordan. Getting to know all of these amazing women on a personal level by visiting them in their homes and knowing more about their art journey is what I enjoyed the most. This book is a stepping stone for us women. All of the women artists in the book have so much in common, yet we never meet and talk to each other. So for the first time I actually feel connected to these women. While, Hiba Shahzada, another participating artist mentioned that she was most happy about the inclusivity the book offers. We also spoke to participating artist and artmejo contributor, Amanee Hassan who stated that she herself was inspired by the Empowering Through model that drives social and economic empowerment. She decided to sell poetry and custom writings through her Quotes for a Cause initiative and give the proceeds to local charities. I like to create work that people can look at and eventually feel better. I want to get people thinking, put a smile on their faces. I wanted to be part of this movement, because that is what street art in Jordan means to me. It simply puts a smile on my face and makes me feel like I am part of a much wider community. Artist Sirvart Ghazarian told artmejo that her favorite part about the process of being featured in the book is the amount of encouragement she received from its producers, and the motivation that it gives her to continue to do art. Jordanian Illustrator and Fashion Designer, Shamekh Bluwi, who was among the attendees at the event, mentioned to artmejo the importance of collaboration in the art sector in Jordan. It is nice to see how women are supporting each other in an art industry that is being led by women from all different backgrounds, age groups and stages in their artistic careers. 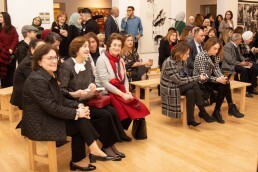 The book launch event demonstrated the importance of showcasing and supporting local talent by all members of society, as it brought together public and private sector, civil society, academia, impact funds, and aid agencies to empower women artists. You belong to a circle of artists. All of us here have something to offer and there is no doubt that everyone here is talented. We are here to to support one another. 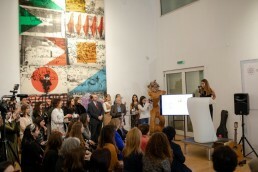 -Bana Hammad, Project Coordinator and Designer. Image courtesy of Seven Circles. 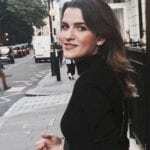 I’m a Design Management and Cultures graduate from the University of the Arts London. My interests involve a range of disciplines including branding , design research, cultural studies and painting.